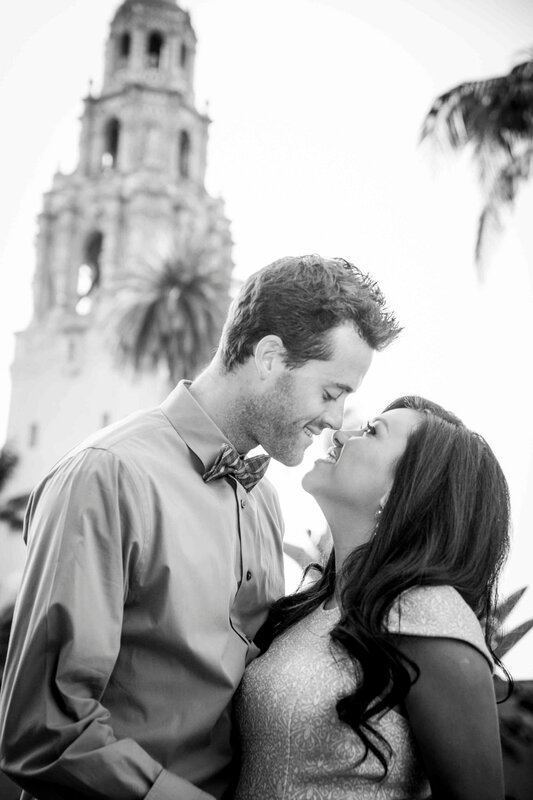 I met Beth and Erich at a wedding I photographed last summer. 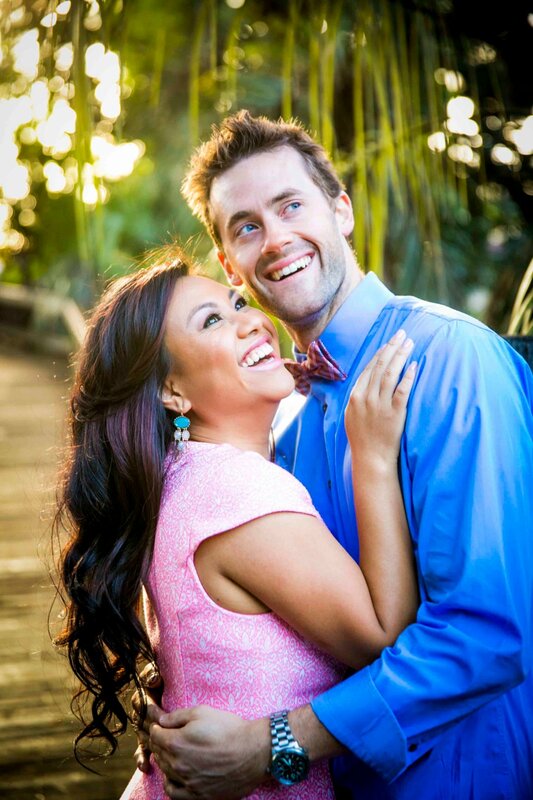 Beth was a bridesmaid of April and Nick's wedding, and we hit it off. 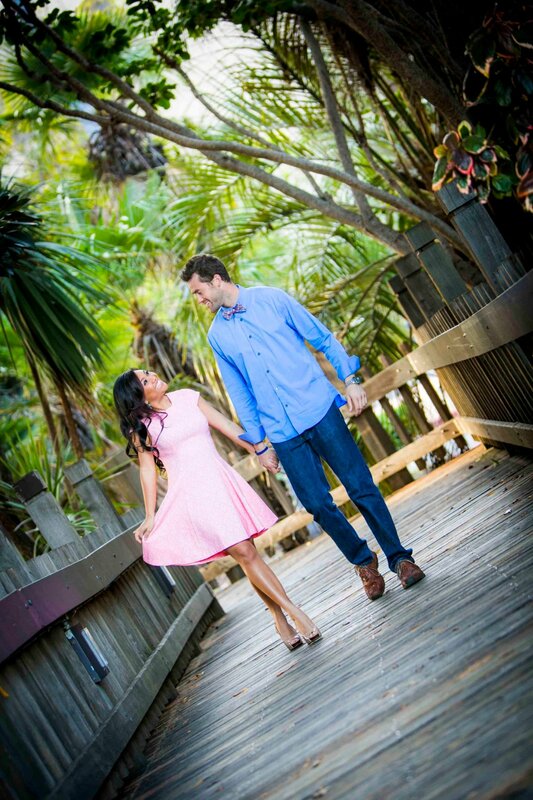 She has great high energy, and being high energy myself, we played off each other well. 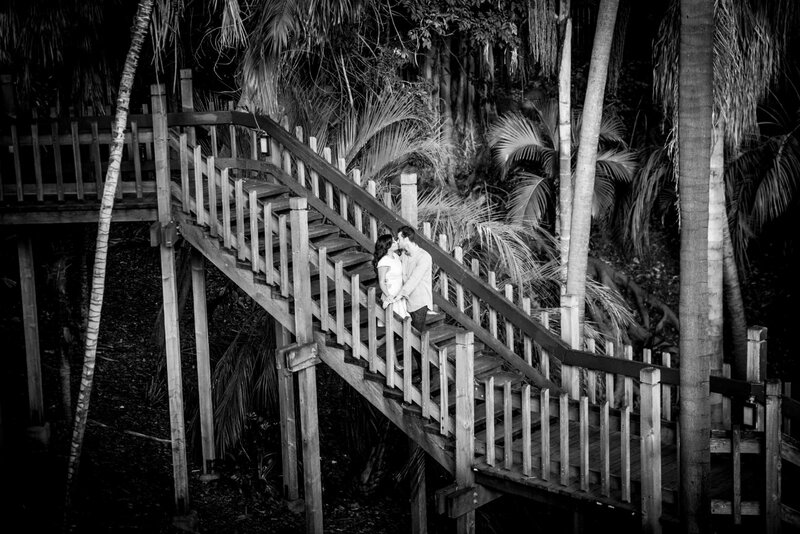 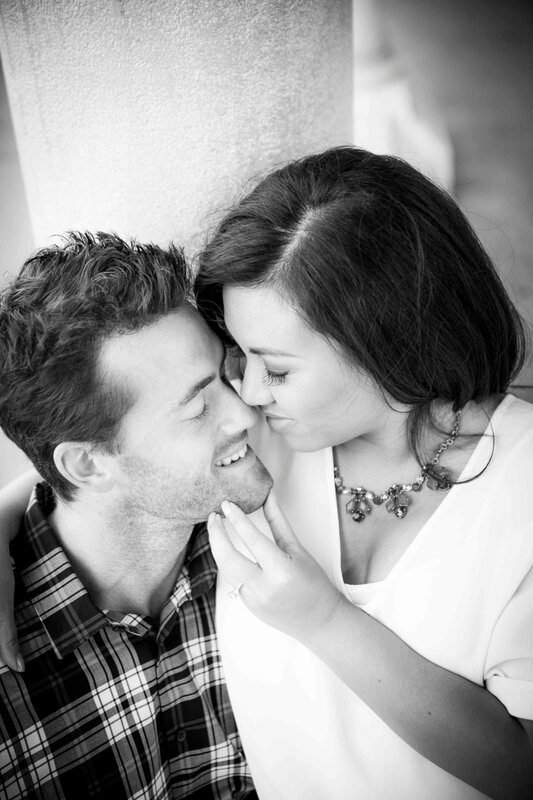 When Beth saw April and Nick's photos after the wedding, she loved them. 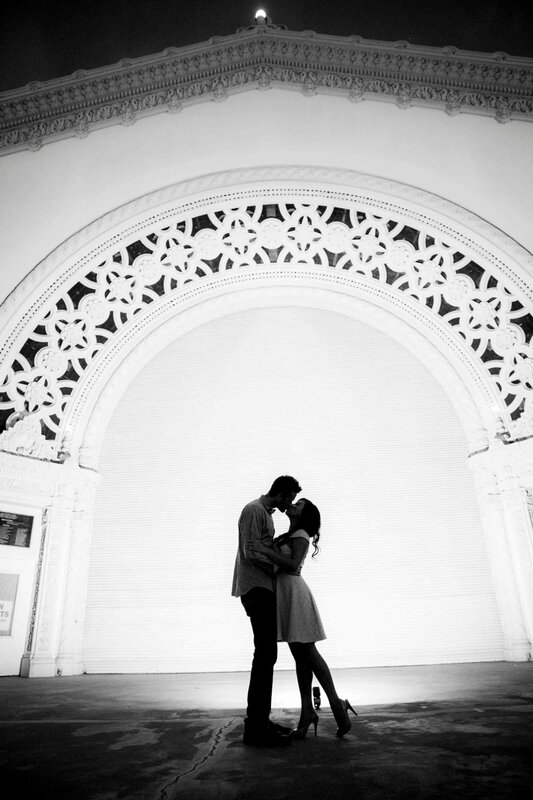 Beth was recently engaged, and chose me as her wedding photographer. 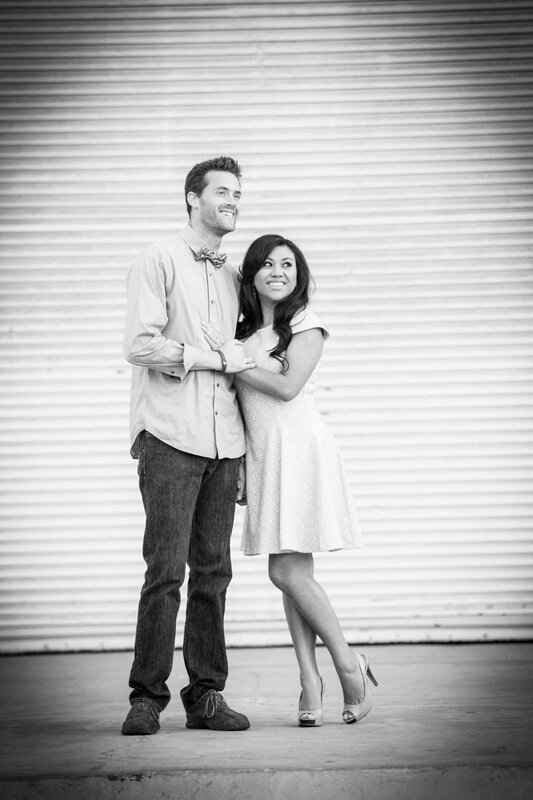 I was elated. 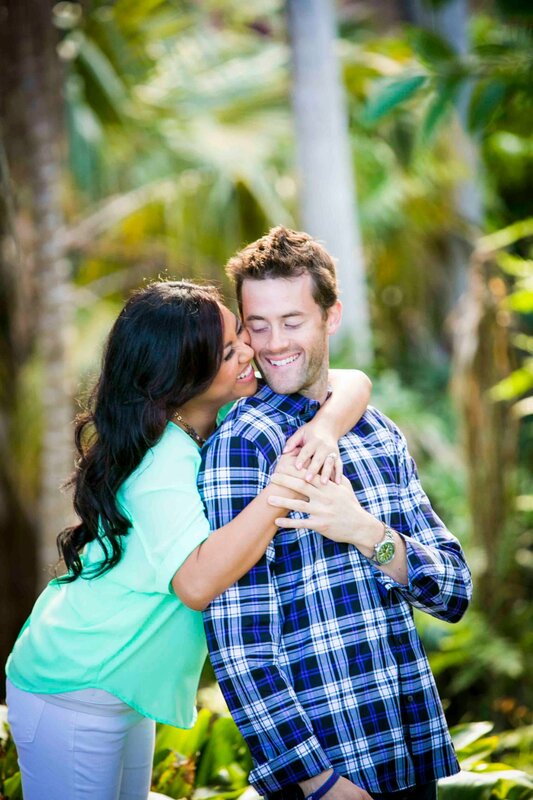 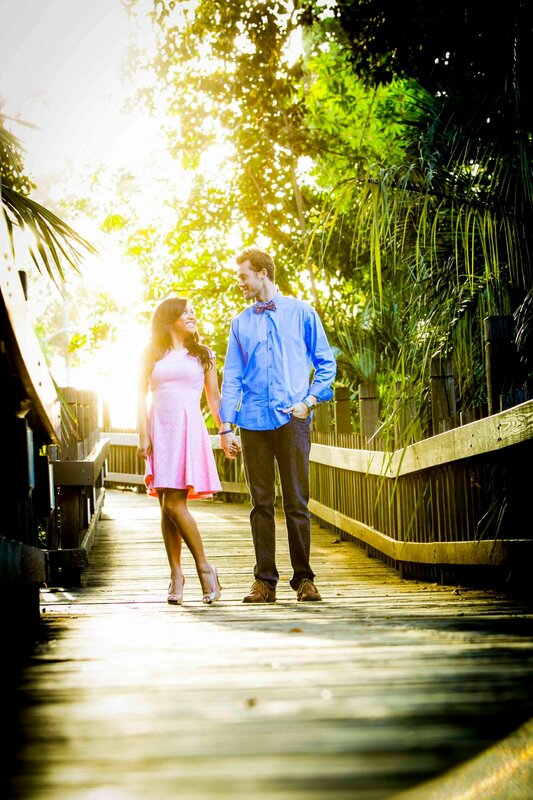 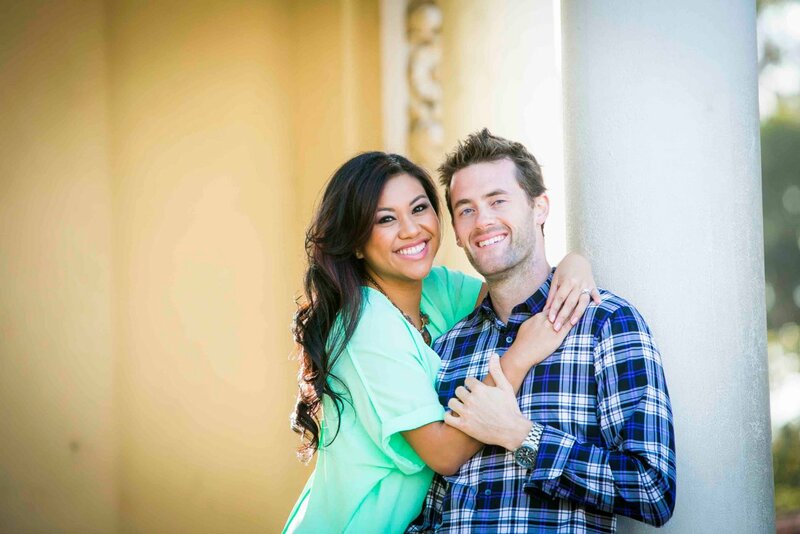 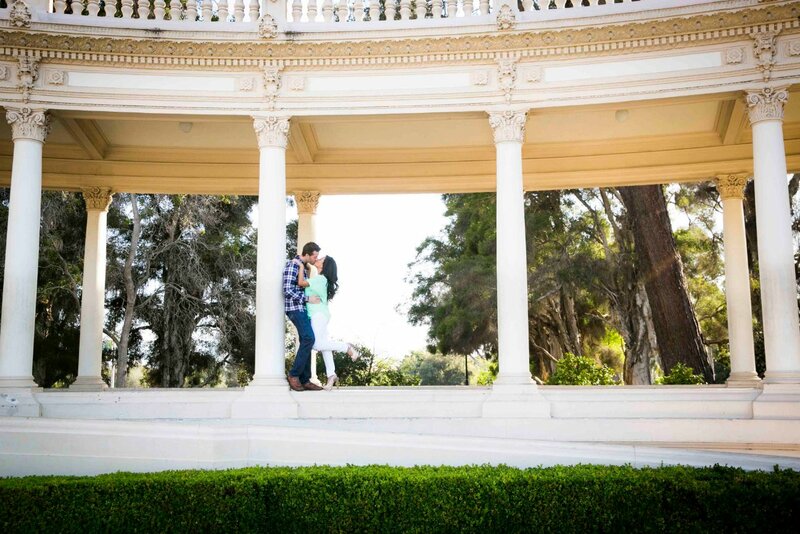 The lovely couple are getting married in Chicago in April 2016, and I'm so excited to fly out there for the event. 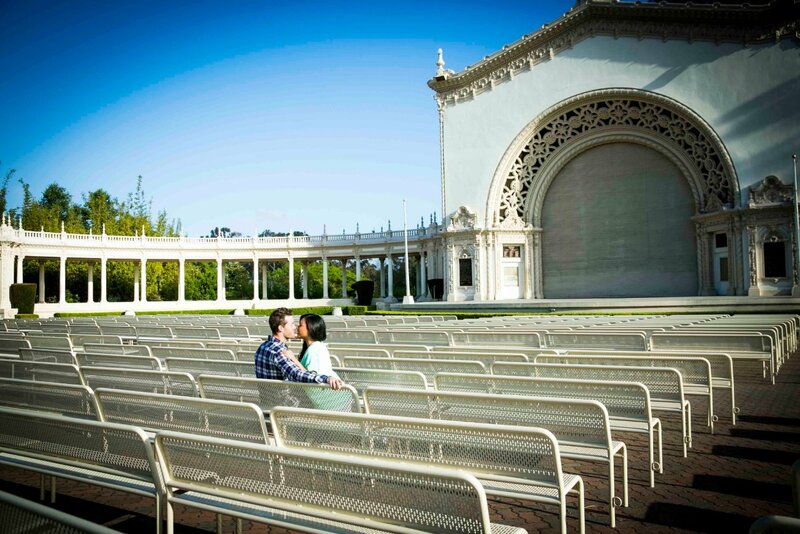 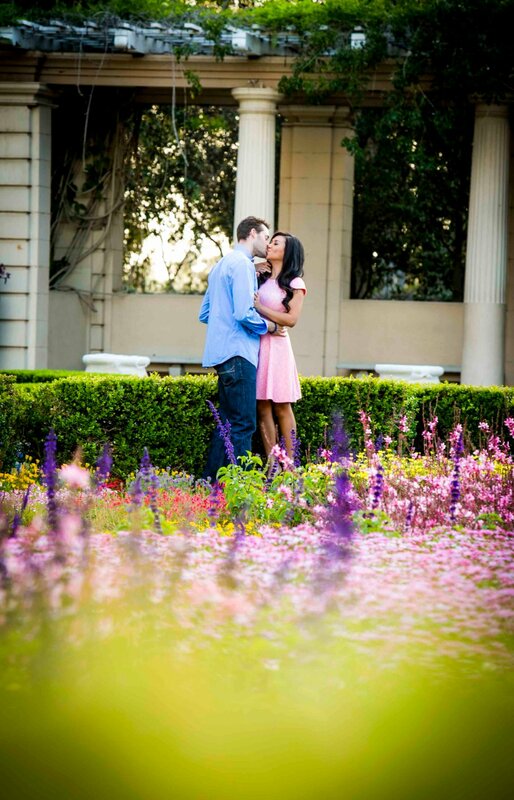 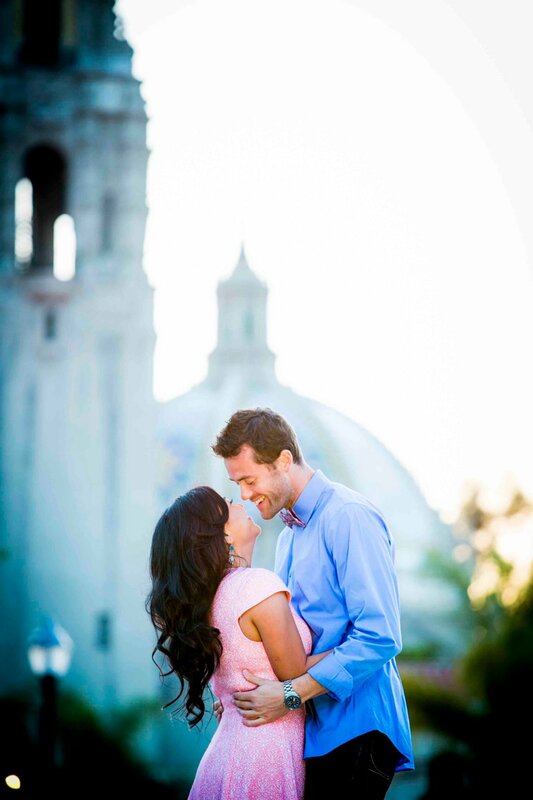 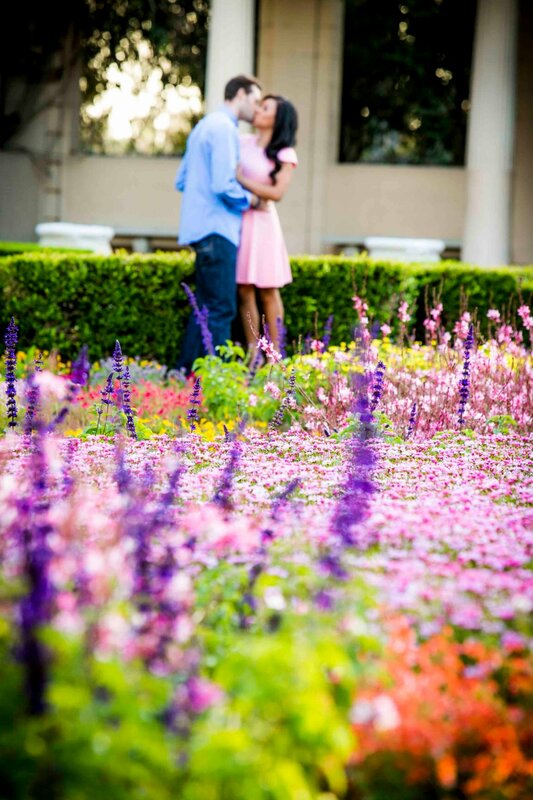 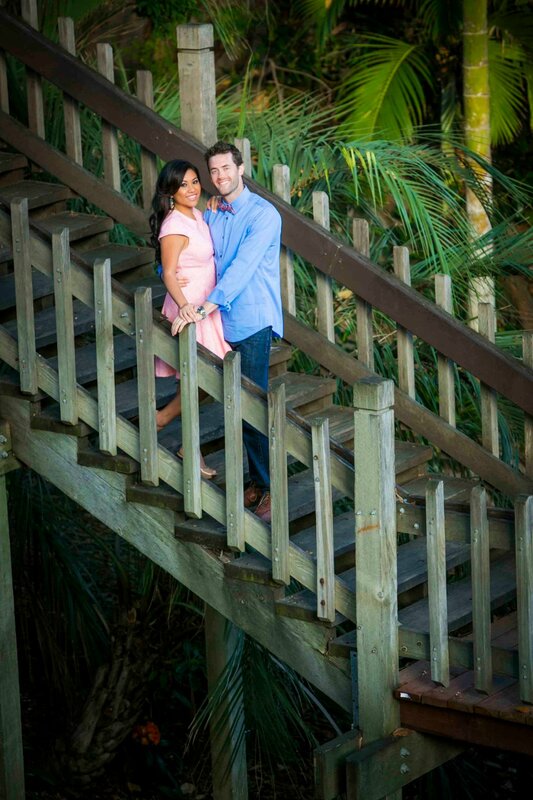 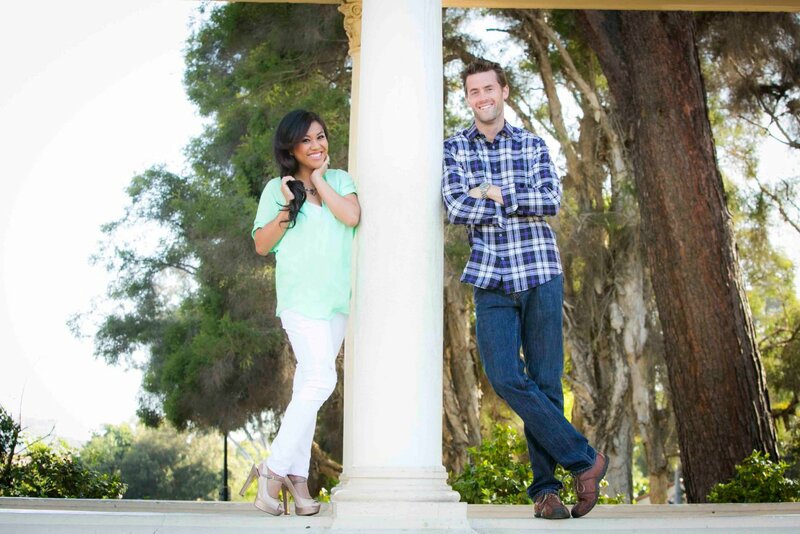 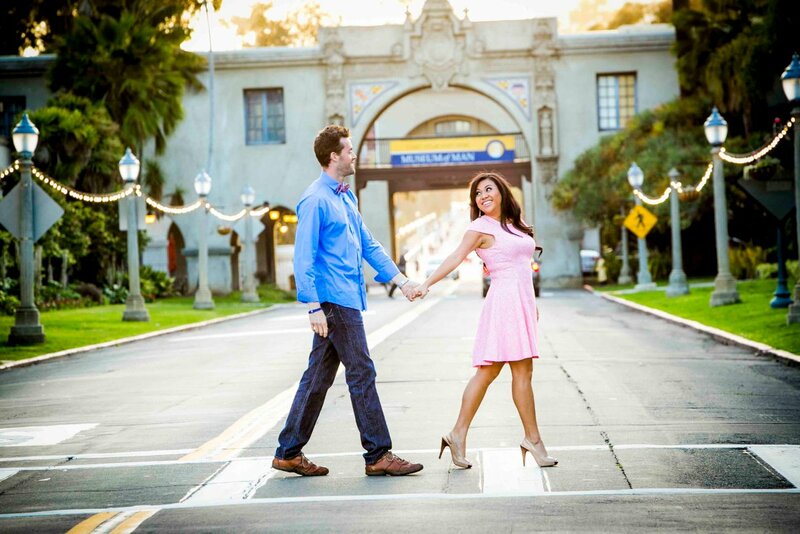 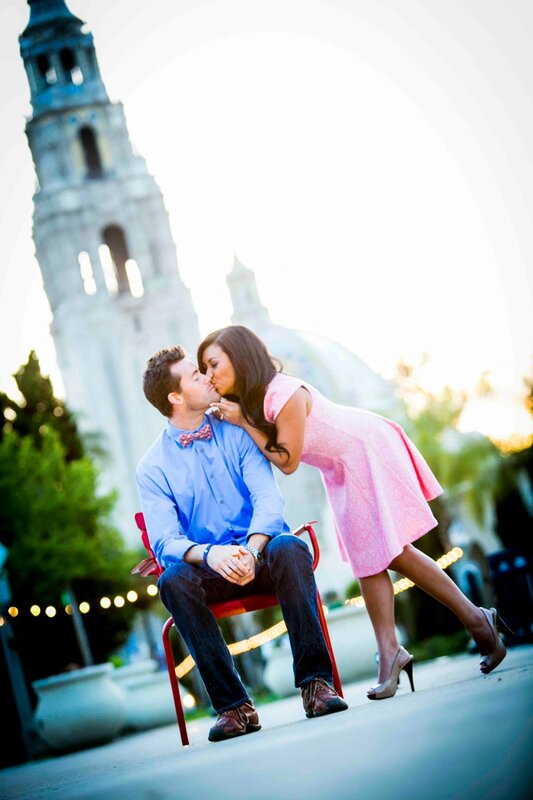 Beth and Erich love Balboa Park, so it was a perfect fit for us to do their engagement photos there. 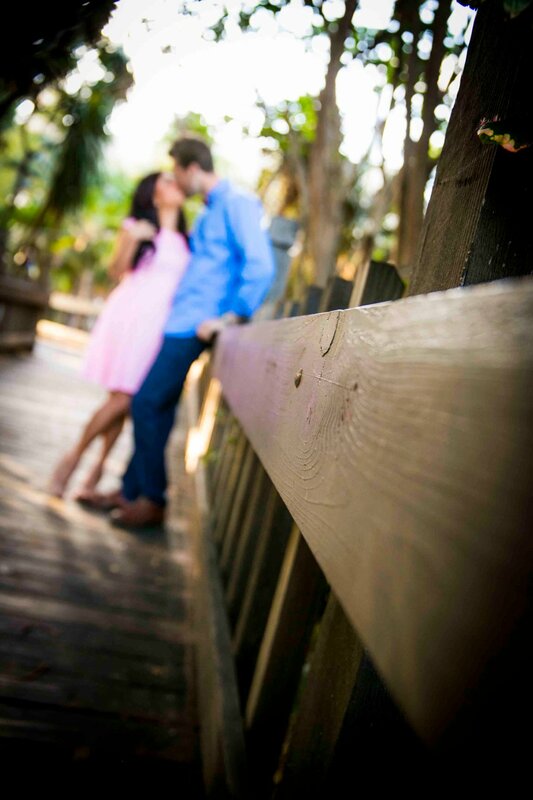 Enjoy some of these special moments.